4 vendors have this plant for sale.45 members have or want this plant for trade. I live in central va just west of I-95-piedmont area and zone 6b to 7a. I planted these in a container with coleus and a small semi-woody. They were just wonderful in the fall, about Sept they bloomed for almost 2 months. They have long glad type of leaves so were nice in the arrangement even out of bloom. The woody didn't do well as everything else covered it up! I have lots of small 'peel off' corms to plant this year so will use them in the garden beds. I didn't notice a fragrance but a moth loved them. A lot of flowers for your buck since they make many more each year. I would not leave mine in the ground over winter as it is wet here then and I think they would rot. My Peacock Orchids just fully opened (planted in March) on November 15th back in 2015 in our wet and mostly mild climate here in Washington State in the Pacific Northwest region. What a surprise to see blooms begin to develop in mid-October and blessed with some lovely white blooms in November. It was so nice to see these lily like gladiolus blooming after all other garden flowers had died back into an otherwise bare garden landscape. I really liked these, but I did not notice a fragrance of any kind, though I much more appreciate their visual appeal in late autumn. Sadly, so far they seem to be annuals in my zone 8a., but I'd certainly plant them again in clumps around my back yard for some late autumn blooms again. The flowers are indeed beautiful. More graceful and more natural looking than florist glads, they mix better with other plants in the garden. Generally one flower to a stalk at any one time, blooming in succession up the stalk. 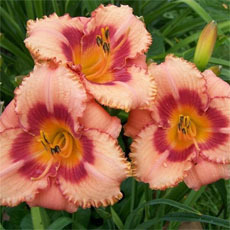 They're a little stingy with their bloom, and need to be planted in clusters. To my nose, the fragrance is OK but unexceptional, neither especially strong nor especially nice. I don't irrigate faithfully, and in two consecutive seasons my Gladiolus murielae have been plagued with spider mites to the point where they haven't bloomed. I conclude that this plant really does require consistent moisture through the summer for it to look good and bloom well. These have a nice fragrance. I think they are a bit hardier than zone 7. I left mine in the ground last year and after an extremely long and cold Winter, they have returned. PS. They weren't planted all that deeply, which means the corms must have endured freezing. I imagine they may be even hardier if planted 6 or more inches deep. Here in 9b Livermore, CA these beauties grow without support and bloom in Mid Summer till Fall. I spaced the bulbs close together in groups of three and they seem to give each other support. They stay in the ground all year and even weathered out our 2 week winter freeze this past year. I have them in two spots. One full sun and another in bright dappled sun. They seem to be happy in either condition and are naturalizing just as I had hoped. It's so nice to have a blooming bulb in late summer as opposed to having it all happening in the spring. So far neutral since I just received the bulbs in the mail from American Meadows. I'm pretty excited about getting started planting them, and not sure whether 4 or 6 inches deep would be better. I don't want to stake them but can do so if need be. A big question I have: Do they need ALL DAY SUN? The trees in my yard have leafed out now and there isn't as much space for all day sun as there was during the winter. I had lovely daffodils and tulips (after chilling them 16 weeks in frig) when there was plenty of sun with no leaves on the trees. But I might even have to put some of these in containers if I can't find a spot with "all day sun"
Can anyone confirm for me does "FULL SUN" mean the same as "ALL DAY SUN" ? Thanks for any ... read morehelp someone can give me. I used to grow the old fashioned glads with the big heavy flowers and this year have started with the hardy ones with the more delicate flowers like these "Peacock Orchid" glads. I dug up about 50 of these from my moms flowerbed . She gave them to me because they were overcrowding the tight flowerbed they were in . 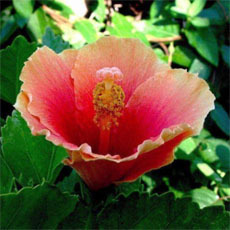 Mine have been in the ground now for about 4 years and I have them growing through a red Texas star hibiscus and they grow through the stems and when they flower the hibiscus keeps them upright . They are fragrant but much more so at dusk . My only gripe is the ants seem to like the flowers and they always have a small mound in that spot . Planted a package of these in early summer in Washington IL (zone 5a)..they did beautifully! I planted them in a bed that surrounds 2 sides of a large metal utility box in front of 2 feather reed grasses and also alongside some red canna. In front of the glads I have some blue asters and then several colors of verbena in the front. Turned out to be a nice looking garden! just dug them up to overwinter in my basement and loved the huge number of teeny bulbs that had developed. I think I'll plant them in pots in January or so and get them going early. I planted a dozen corms in a dryish spot two years ago -- and only got leaves the first year. I divided the set and moved half to a second site. Both sets have bloomed this year -- they started just before Christmas, and I have cut flowers in my office right now. I think the aroma is delctable, but not everyone can smell them. I think I will have blooms for a couple more weeks. What a winter treat. I have this plant for 3 years in z.9a, Spring, TX. I grew it from bulbs. They need very little care, just water. It grows back in late spring. 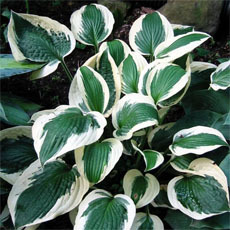 I give it neutral because when it flowers you have to stake it and the leaves get brown spots easily. I grow these indoors as a potted plant. They have always done wonderful for me. I get a good number of offset bulbs & seperate them when my flowers have finished blooming each year. Plus I self pollinate these each season, only a few at a time, as I usually have to remove the bloom to do so & have had many viable seeds produced from doing so. It's a very pretty plant with successive flowers from mid July to mid September (at least in the south of the Netherlands). It grows up to 100cm height in a wind-protected but sunny spot in the garden. As it is not frost resistant I will have to take it out in autumn. I cannot confirm that it does not produce any seeds. Quite the contrary: I've got hundreds... Let's see if they will grow next season. Pretty plant and it is fragrant but I have not had real success with these after the first season. They do well the first year but don't return or fail to flower much afterwards. 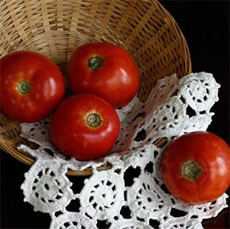 Although I have purchased them from both Wal-Mart & Old House Gardens, I had similar results. I am in Brigantine NJ next to Atlantic City - (on the bay) and I love these plants in my garden. I mulch very well, and leave my bulbs in the ground. They have come back for four year now and get better and better each year. The face south and get full hot sun most of the time. They are mixed with a wide variety of other incredible plants, but they are one of my centerpieces! Even if you have to dig up the bulbs each year, they are worth all the effort! This is such an elegant plant - well worth having to plant each year (or dig up before winter) in my CT garden. I may try old branches as natural supports and have planted close to patio so I can notice its habits more easily. I have never grown this plant and am wondering if it makes a good cut flower. With its fragrance, it should be great! I have spent six months trying to figure out what this plant was. No one knew. I now know why. Gladiolus callianthus is an annual in Zone 3-4 where I live. It is incredibly beautiful. My story with the Abyssinian gladiolus is kind of funny (to me!!! ), so I'm going to share it with you. This June I was in a "rescue mission" at Home Depot. At least, this is how my significant other sees it. So, I bought several "out of season" bulbs, at quite a bargain, not being sure that I would see them flower this year. They were supposed to be summer or fall flowering bulbs that you plant in spring, right? Many of them were sprouted in their little bags, usually not the way you would want them (at least, not if you are a professional gardener). Searching in the boxes, I found one loose bulb, not looking like any of the bagged ones. I took it, and when I went for the checkout, I asked if I can take it, and they let me have it for free (they had no idea what it was either... read more). I planted it as soon as I got home, in a separate pot, so I could follow the plant and, later on, hopefully identify it. That's how I found the DG site. I only had one bulb, out of season, that started flowering on 1st of August, opening one flower at a time, beautiful white with the dark purple-violet center, heavenly scented, and I was looking for the plant ID. So far, it gave me 10 flowers on the same spike, and it still produces more buds, is already over 1 meter long (4 feet, I believe), and I think it can hold itself (but I staked it anyway). 4.	the only regret is that I only have one right now, but I’m working on that!!! Keep gardening and don't be afraid to experience! Rating it neutral because I find it hard to "read". Purchased bulbs from WM and got some in trade, they have grown lots of green in the 2-3 years I've had them, but flowered very poorly. 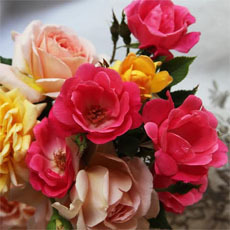 However, blooms are beautiful and the scent absolutely heavenly. I keep hoping that the problem has been that I started with very immature bulbs and that eventually I'll have the displays I've seen in catalogs. Mine are planted inground, full sun. Totally care-free plant. The fragrance is heavenly, IMO! They aren't fazed by our GA heat or drought. This was my first year growing these plants, and they are now among my favorites. They grow very quickly, and have a very long bloom time. I had a few early bloomers start around the end of July, and it is now the last week in September and I still have at least seven in bloom. My main problem with this plant is that the leaves are very floppy, and tend to look a little tacky if left on their own when none of them are blooming; the wind wasn't too much of a problem, but it did cause some fraying on some of my larger plants. Also, I wasn't sure how much sun to give them, so I planted about 25 of them together in a bed that fades slowly from full sun to full shade. I noticed that the more sun they got, the larger the blooms were. I give it a negative because its pretty invasive here--I've finally cleared it all off the property (I think, or hope anyway). Having checked out local botanical gardens last fall, I planted well over 100 of these in a single site this past spring hoping they would be blooming for my daughter's wedding which was to be held at my home on October 8. Our summer was rough - very hot, with draught conditions, and I did water regularly. Although they were past their prime for the wedding, probably due in part to the hot summer, I found them extremely easy to grow. I planted them in full blazing sun with only minimum protection from the wind. Even there, they needed no staking, and they bloomed for weeks and weeks, providing a fantastic show planted en masse as they were. The 25' x 12' foot garden area where they were used contained the Gladiolus callianthus and only two companion plants - Pennisetum Hameln and white Gau... read morera lindheimeri. The combination was stunning, surpassing all my hopes for a spot that has in the past been troublesome. Gladiolus callianthus is not hardy here, but I will definitely plant them again, and in large numbers as I did this year. Massing acidanthera at the back of a border is a good idea. 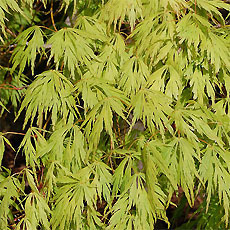 The strappy leaves can look floppy and unpleasant without other foliage to contrast with/support it. This year I planted most of my corms in my herb garden. It looked good with my sweet basil and parsley. I have had success growing the offset cormels in containers for a year before planting out in beds. I've grown them in the ground and in pots but not had the 48" height. The more sun the more blooms. The fragrance is wonderful and instant WOW affect when visitors ask about it. Extemely easy to pull up in the fall with shallow roots, especially in friable soil. I let lay on the ground a few days (if not freezing) then cut tops off and let corms sit in open container in garage for another week before taking them down under a table in the basement. Very simple to save. They will have many tiny corms around the base that can be grown on next year but will not bloom the first year being so small. I picked up corms for this flower from a display. I knew nothing about them when I bought them but looked them up on the internet and discovered that they wouldn't survive the winter here in Kentucky so I planted them in a large pot and sat them in a spot that was pretty shady until the tree that shaded them blew down in a storm and then they got several hours of sunlight, but not all day. I think every corm turned into a blooming machine-they got more comments from visitors than anything else in the garden. They bloomed longer than I would have ever believed. I just took up the corms today...before frost, but the tops were mostly dead except for a few that had come up recently. Where I had planted a few corms I now have dozens...I can see why others have said they multiply easily. bought mine as a pack of 15...have about half of them planted out in full sun, the other half planted in pots or window boxes...those didn't last long.the ones plants out in full sun are near a crape myrtle and some of them bloom and some don't. i may move them to another location once they get done blooming i think they will look batter planted in a mass rather than in the circle like i have them now. I bought one package of 12 corms this spring then I looked them up on the internet and read that they multiply quickly. So I figured I would try them out in two places I put 6 at my grandmother's house and they get most day sun but are against a wall and protected from wind and late afternoon sun they are doing great and already blooming, i planted mine in full sun and they grew up about half of what hers did and stopped, no blooms no further growth, I think I am going to move them to a place where they get a litttle shade in the afternoon next year. They are a really beautiful flowers though and they would go well with my garua seeing as they look like a big butterfly and the gaura looks like hundreds of Teeny Tiny ones. I will try these again next year. 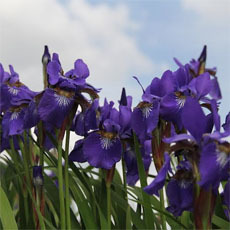 This african Iris is suitable for subtropical climates, tolerating light frosts and moderate heat. The upright, single-faced leaves grow from an underground corm on late winter. The flowers, with 6 equal tepals, are white, with a black or dark purple spot in the middle, appearing on summer. After the flowers fade, the plant starts to dry. Then the corms can be removed and stored, and planted elsewhere after the winter. 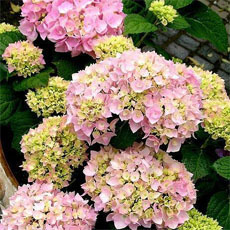 It likes full sun, well drained and rich soil, and regular watering. I planted some corms about 5 years ago. Because they mulitply so freely, I separated the corms and spaced them in 4-5 different areas of my garden that have varying amounts of sun and water. I have had very sporadic luck with blooms - 2 yrs out of 5 so far. Last year I had some good areas of bloom; this year, all blooms in all spots were deformed,discolored, and looked insect/pest ravaged. One note of caution - it is nearly impossible to get rid of this plant once you have it planted. It is a good souce of color in the late summer so I have not totally given up on it. I have grown these plants two years in a row now. They definitely need more sun than I can give them. The first year the grew in part sun/shade and I had two plants bloom. The blossoms are gorgeous and fragrant. They were only about 36" tall. In the fall I dug them up and stored them indoors (not winter hardy above zone 7) This spring I got them in the ground late, planted in a brighter spot and waited. They took a while but then grew and grew to about 48", much taller than I had planned. They dominate my hibiscus and block the light to my caryopteris. I had three plants flower this time and all the offsets from last years corms grew to about 18" These may take some time to mature. Next year I move them once again to a newly opened spot in almost full sun. Keeping my fingers crossed this t... read moreime that even more will bloom. Also keeping them at the back of the border. If this fails they are being given away to someone with lots of sun and patience. I planted these under the assumption that they would be 24-36" high. The plants are now taller than my six year old at about 48". The blooms look the same as the picture. I wonder if you can move the corms to a different location from where they were originally planted. I tend to experiment with any type of plant that has the slightest chance of growing in my Zone (6b), so I gave the Acidanthera a try. I planted ten corms in semi-frozen ground in early March of 2002. The soil and sun conditions varied from poor sandy soil with almost full sun to semi-rich soil in almost full shade. Regularly treated the soil with fertilizer every 2 weeks. None of the corms had sprouted by late spring, so I continued planting around them, figuring that the planting was mis-timed and the corms had died. In early summer, over a 3-week period, all of the corms sprouted. 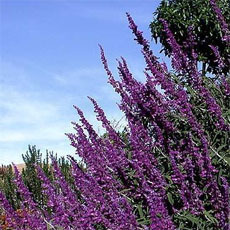 In mid-August, when the plants had reached anywhere from 18"-24", they began to flower. BEAUTIFUL, and with a nice (almost cologne-like) aroma. Blooms kept appearing until... read more late October. Although this plant cannot survive the winters here in Zone 6b, they are SO easy to grow that I plant them every year (basically treating them as an annual). It seems that EVERY corm that I plant sprouts, so there's no guesswork involved. My only problem that I have with this plant is that it grows SO tall (eventually 36-48") that I need to stake some of the plants, or the flower stalks get blown over in the wind. Otherwise, this plant is great. I was surprised by the length of bloom time for this gladiolus. It began blooming in July-August and is still blooming (though tapering off) in September. The fragrance is wonderful; the white stars are nice as they peep through the brighter blossoms of nearby plants. I don't yet know about hardiness in my Zone 7, high desert garden; this is the first year I've planted these. Beautiful fragrance. It is cold-hardy in zones 7-11; in colder zones, dig up corms and store at 60°-68° F.
Protect from wind. Thrips, bacterial scab, and mosaic virus can cause problems.